Plan For Reading The Bible: Join us! Your contribution could help change the world. Join us! Your contribution could help change the world. Are you ready for another step in your Bible App journey? Don't miss out on what God does next. 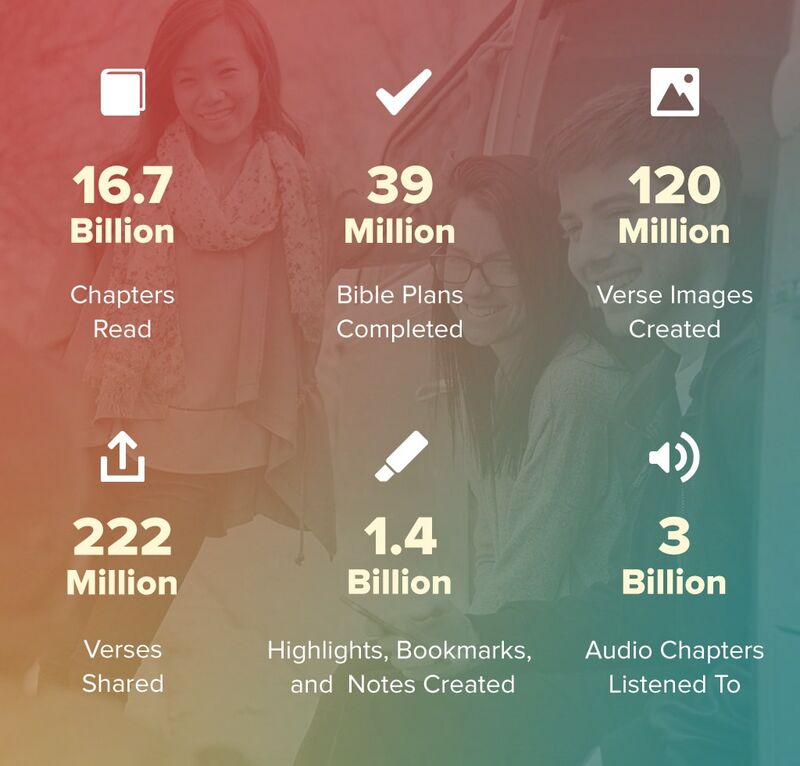 When YouVersion launched as a website in 2007, we offered just 12 Bibles, in two languages. 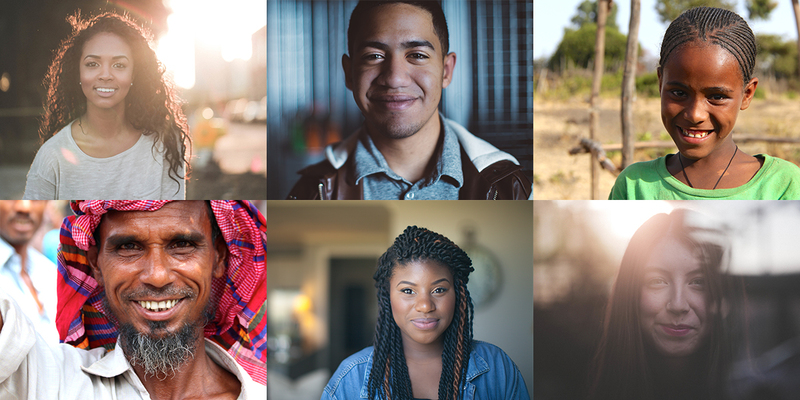 Thanks to the generosity of visionary partners, the Bible App is now honored to offer text content in over 1,100 languages. All over the world, more and more people are turning to the Bible to hear what God wants to say to them. When you give to YouVersion, you're helping us connect them with God's Word, in every country on earth. 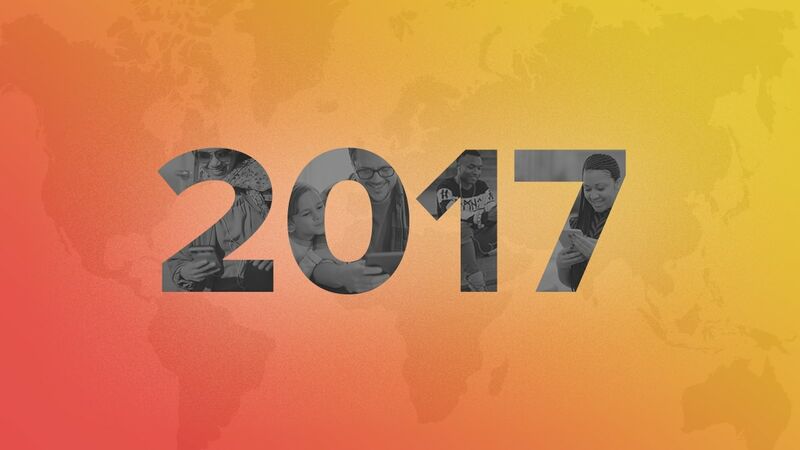 2017 was the worldwide YouVersion community's most Bible–engaged year ever. At YouVersion, each one of us has experienced the gift of God's love through his Word. That's why we're so passionate about sharing the Bible App with as many people as we can. And because you use the Bible App, you're already a part of what God is doing. Every time you use the Bible App — whether it's to read, to listen, to meditate, or to share — you're participating in a community that spans the globe. Consider taking another step in your Bible App journey today: discover how much better it can be to give than to receive (Acts 20:35). We're leveraging technology to help this generation become the most Bible-engaged people in history. That's because we believe that when you invest in reading or listening to Scripture, it has the power to change your life. We're seeing it happen all over the world. When you give to YouVersion, you help us connect more people with God's Word, in places that have seen triple-digit Bible engagement growth like Mozambique, India, Argentina, and Iraq. Imagine a world where every person can instantly engage with God's Word in their own language. In the history of our planet, nothing like that has ever been possible before. But now, not only is this dream possible, it's within reach — and during our lifetimes. Wow, look at this amazing move of God in 2017! 👑 Prepare your heart for Immanuel.